Finally got around to getting some fuel for the Dragonfly stove. Went to fill the car up and put 700ml of unleaded fuel into the MSR fuel bottle. The whole process was pretty straightforward after practising a couple of dry runs. 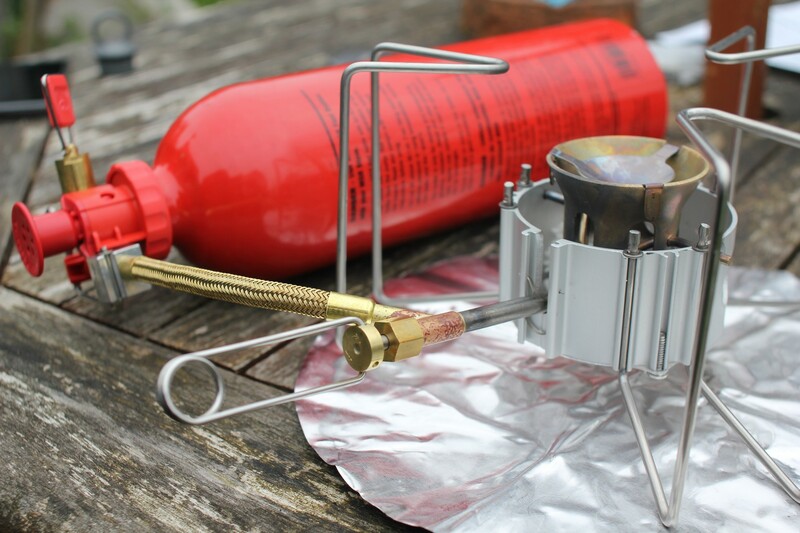 Hook the bottle up, give it a few pumps, open bottle valve, slowly open stove valve, release some fuel, close bottle valve, set fuel alight, let it burn a couple of minutes then slowly open the valve…and it takes off! Well, it sounds like a jet taking off, it’s so loud! Previous PostPrevious Gear starting to arrive!